If you’re an avid Xero fan, then no doubt you’ve been reading about the latest Xero product features announced at the Xerocon in Melbourne, Australia. Xerocon? Think Apple and it’s annual product keynote speeches but for Xero Accounting Software. I understand that the new Xero Expenses is available in Australia, New Zealand and Asia for Xero partners, although I have yet to see it. The whole employee expenses and reimbursement product is apparently being redesigned. And about time I have to say. I have very few clients who use the current Xero expense module as it’s very cumbersome and nigh on impossible to correct transactions should you make a mistake. I look forward to seeing what the end product looks and feels like. It will need to be quite special if customers are to dump apps like Receipt Bank for employee expenses. If they truly develop superior Artificial Intelligence (AI) and machine learning to make the entire expense process easier and more automated then perhaps, just perhaps, Xero can compete with the likes of Receipt Bank for expenses. Xero Discuss will be a communications tool, which will go live in the next few months, and will give the ability for accountants, like myself, to discuss financial details about a client’s business directly with the client from within Xero. There is no hiding from me now! The jury (or should that be “Drury”) is out on this one. Obviously there is no replacement for face to face communication, but like many accounting firms I communicate with clients via a number of apps already, Receipt Bank, Karbon and Practice Ignition to name but a few. Is there room for another? Will this result in communication overload for clients? Let’s wait and see. Xero Projects is the one I am most excited about and is now available. Xero Projects is a time and job costing tool for professional services organisations that need to keep track of time and costs in real time. Quickbooks Online launched this functionality back in July so I am glad Xero announced this particular feature. I like to keep an even playing field between these two giants of Cloud Accounting. Apparently there are further enhancements in the pipeline including, Quotes, Expenses and Payroll integration which will be necessary if they want to bring other types of industries into the fold. 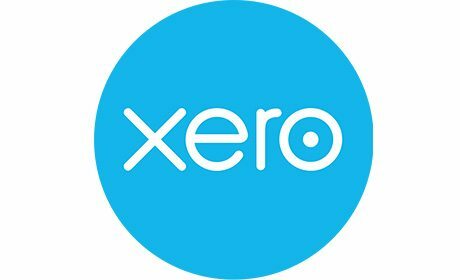 Xero Projects is definitely not an alternative to apps like Workflow Max, Deputy or TSheets who have more comprehensive job management and timesheet functionality but if you are a small business with limited costing needs, then this could be a cheaper option for you. Yes, you will need to pay for Xero Projects. For businesses working with a Xero accountant, you can experience everything Projects has to offer at no extra charge for the rest of 2017. However, once the introductory period ends, a monthly user subscription fee will apply. If you are interested in understanding whether Xero Projects is a right fit for your business, then give me a call and we can discuss. I’m off to watch Tim Cook give his keynote speech about the latest Apple releases. Happy days!